Take good use of photo, music and other effects. Adding picture to video refers to put a picture on a video, which can be used to protect your copyright. Besides that, you can also add a photo to video to remove irrelevant part or hide some private information in the video. The picture can be your own photos or logos. Many people like to add their own photos or logo to video files but don't know how. In fact, it's just a walk in the park if you use some video edition tools. We have written an article about best free video watermarking software that you can use currently, while here you will learn how to add picture to video with a powerful video editing tool- Wondershare Filmora9. 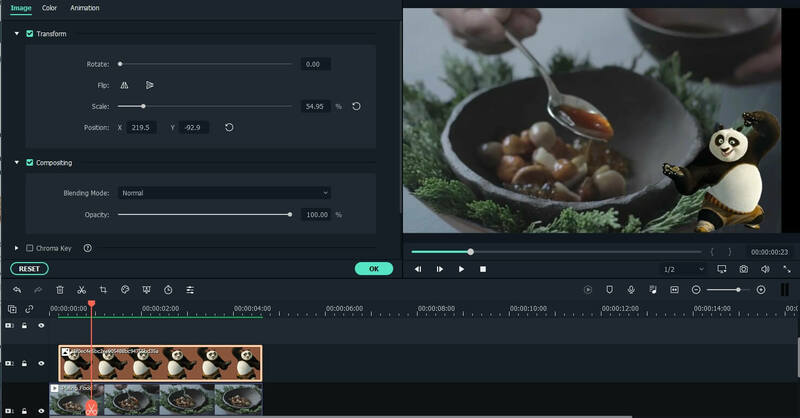 Filmora9 is a simple yet powerful video editor, which provides not only some basic editing features, such as trimming, cutting, editing audio, and adding titles, but also provides some advanced editing tool, including stabilizing shaky footage, making green screen effects and correcting color. What's more, there are more than 300 effects built-in, and you can add filters, overlays and motion elements, making your video unique. And the Effects Store provides some specially designed Effects Sets, such as Block buster, Fitness, Cinematic, Business, and Beauty. If you are a YouTuber, we recommend you to join in Filmora.io community , in which you can get all the resources you need to grow your YouTube channel easily. OK, let's watch the video tutorial below first to check how to add a picture to the video with Filmora9. Download Filmora9 now try it by yourself. If you want to know the detailed information step by step, keep reading the following section. Tips: If you want to learn how to add your logo to your video, you should check Add Logo to Video Software: Apply Your Own Branding to What You Create, which providing all information you need. 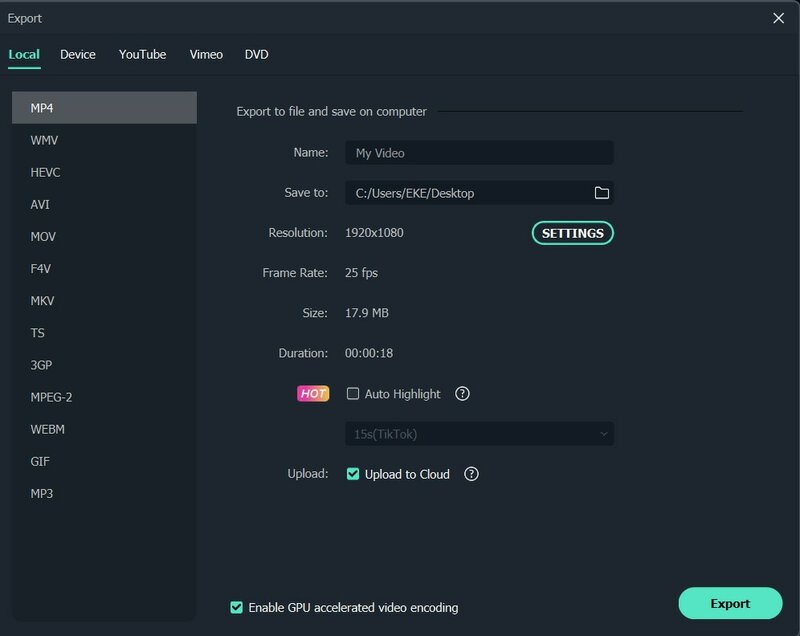 Click “Import” and then select the target images and videos from your file folder or directly drag and drop them to the Filmora9 Media Library. Then drag and put the video to the video track (first track). Note if you place all the video files to the same Timeline, they will be merged seamlessly together. After that, select the picture you want to add to your video and drag it to a track above the video track . You will see the picture appearing in the previewing window. Customize the size and position to make it suitable to your video. Then simply move it to the desired place of the video in the Preview window. Note: If you chose Crop to Fit in the Photo Placement preferences, the picture you loaded to timeline will be cropped. Change to Fit to load the image in full. You can drag the edge of the photo in the timeline to make it fit to your video length. Besides applying the motion effects to the photo added on the video, you can also add more effects to your picture. To do this, double click the photo in the timeline to enter the image editing interface. In the pop-up windows, you can add motion, rotate the image, change the image size and position, make part of the clip transparent, add border, shadow, etc. For example, you can make your picture a little more transparent if its background color looks too obvious in the video clip. To do this, go to the Compositing tab. Here, you can make part of the clip transparent, add border, shadow, etc. to make it perfect. You can also customize the mask shape of the photo or compositing the photo and video in a better way by adjusting the Blending mode and Opacity. To adjust image color and add motion to the picture in timeline, just switch to Color tab and Motion tab respectively. Tips: You can add multiple pictures to the video. What you should do is place them to different tracks and adjust the settings as above. Note: If you want to add Image Mask to pictures in the timeline, just drag the Image Mask from the Effects tab to the picture in timeline directly. Double click the picture applied mask effect to choose the Mask Presets. You need to change the duration of the Logo. You can simply drag the edge of the Logo in timeline to set the duration. Or, you can double click the Logo in the timeline, and then click the Set Duration icon in the toolbar, and then set the duration in the pop up window. Let me know if that works for you, Benjamin. Is there any way to have the picture track a face or for me to control the picture on each frame so I can move it. How can I put a logo in the screen and keep it there throughout the video? Probably a stupid question. When I add a still picture to the video, it appears for only about one frame. I want a still picture to appear for 20 seconds. There seems no way to "stretch" it out to 20 seconds. What is the trick? how can we add one cropped photo over any frame of the video. how can we put someone's face over the other person in video?